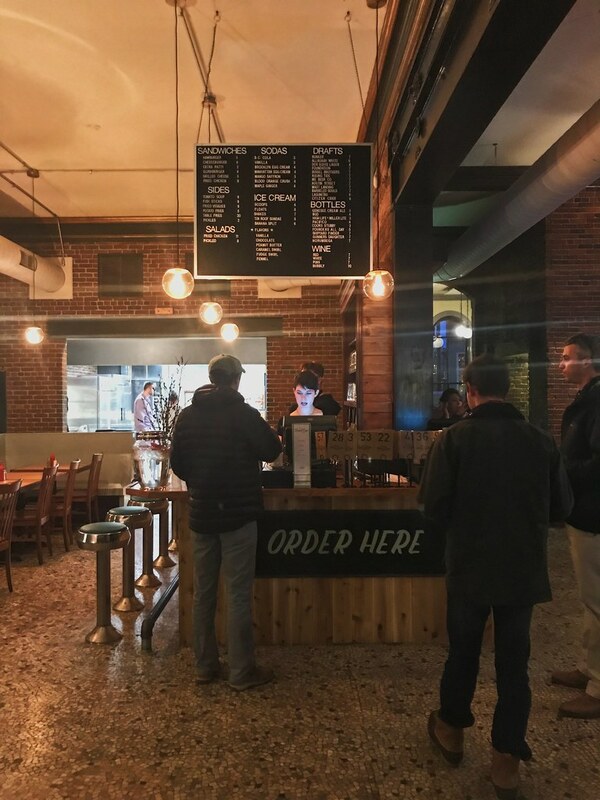 Everyone who mourned the closing of Sonny's, Jay Villani's Latin-themed restaurant on lower Exchange Street can breathe easy—Black Cow is now open, and the bar remains functionally the same. The food, however, is completely different with a focus on hamburgers, ice cream, and sodas. Those who enjoyed cozying up to Sonny's large bar and ordering a creative cocktail will be pleased to see Black Cow has a list that rivals Sonny's in its inventiveness. Black Cow offers counter service, so you place your order at the register that greets you when you walk in. 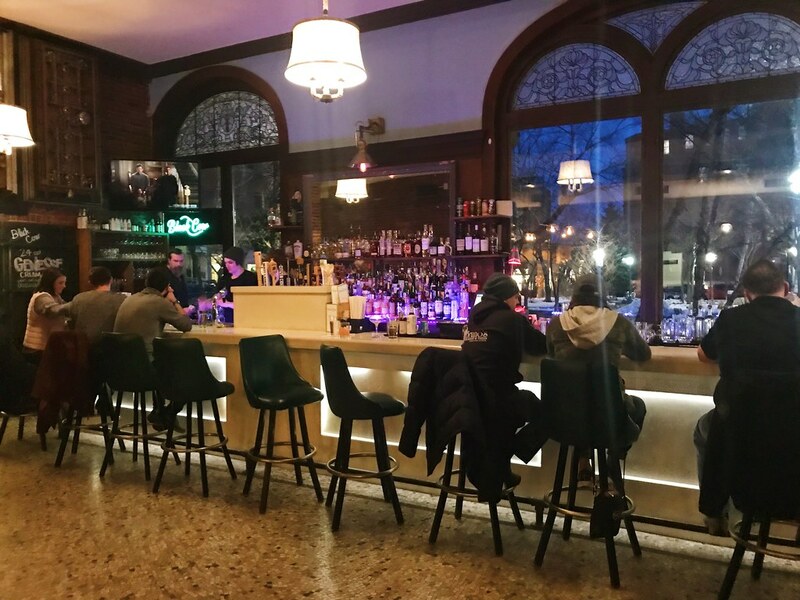 Other than a fresh paint job and some new stools, the decor hasn't changed dramatically, leaving the soaring ceilings and exposed brick of the former bank to speak for itself. 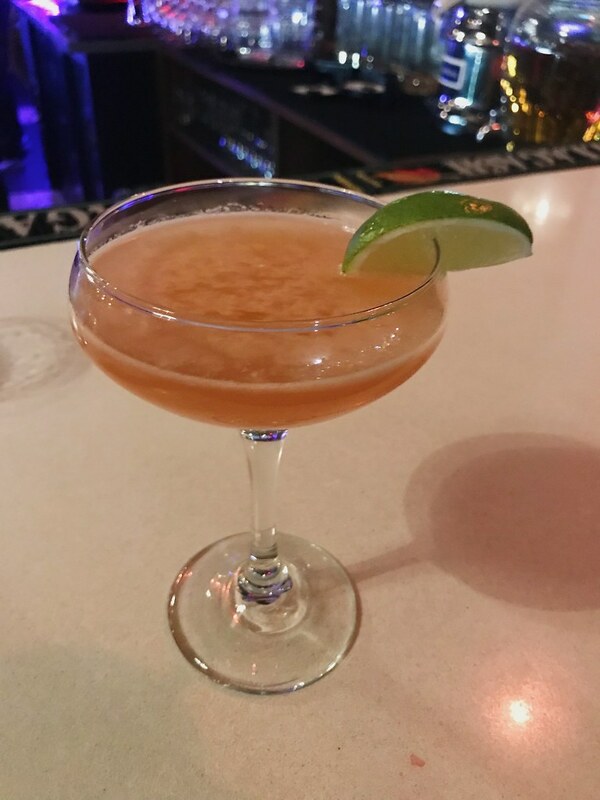 I ordered a hamburger and fries at the counter, then snagged a seat at the bar to enjoy the True Romance ($10) with Plantation pineapple rum, Chartreuse, lime and sugar. It was crushable, just as the menu said it would be. Other drinks that caught my eye included the Hardshore gin fizz; When Doves Cry with chili-infused tequila, ginger syrup, Campari, and grapefruit; and the Shirley Temple of Doom with rum, lime, ginger, pineapple, and a housemade grenadine. The tap list has 12 beers, most of them Maine breweries from Bissell Brothers to Barreled Souls. There's a large number of housemade sodas like blood orange crush and Brooklyn egg cream. LBK ordered the chicken sandwich ($8), with a chicken patty made with some dark meat that was juicy inside and crispy out. 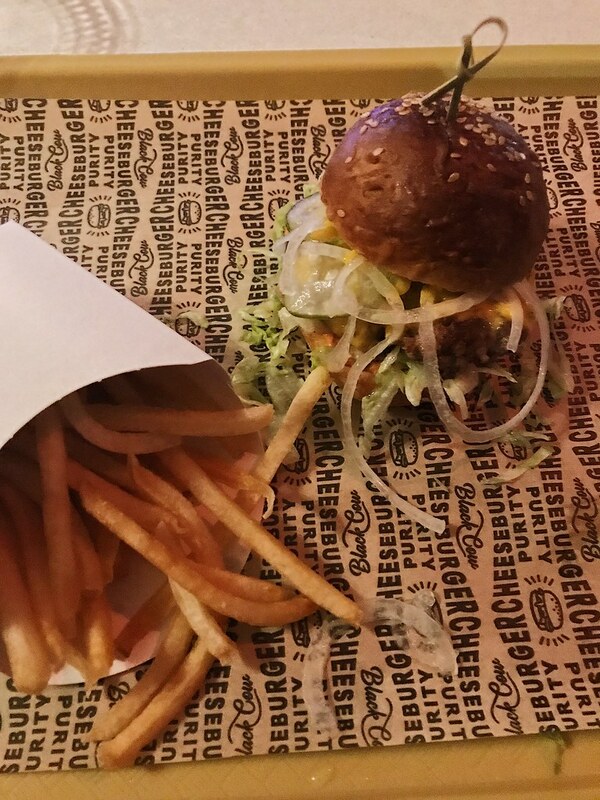 Just like the cheeseburger, it comes topped with shredduce, onions, pickles, and American cheese. It had that perfect hot meat/cool toppings contrast going on. 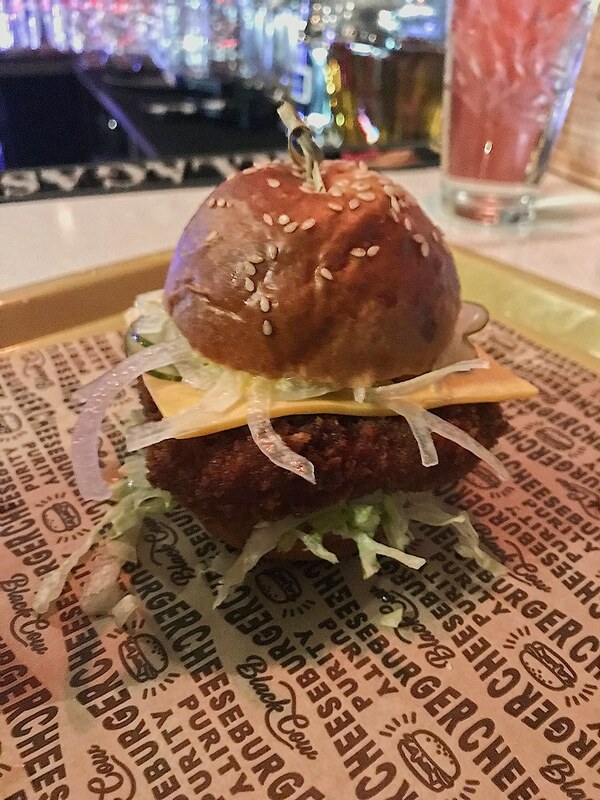 The burger was small ($6), and I found it to be the perfect size. The server didn't ask for a temp on the burger as it's a thin patty, and it comes dressed with mustard and mayonnaise. The fries ($5 for a small or $20 for table fries) are shoestring-style, but on this night a little too crunchy. My total bill, including my cocktail, was $21, which was amazing—I figured I'd spend $50 going out to eat and drink. Black Cow will be a popular meet up spot, whether it's for a cheap burger or for the happenin' bar scene that Sonny's was so well-known for.